COLLEYVILLE, TEXAS – March 6, 2010 – In honor of World Glaucoma Awareness Week (March 7 to March 13, 2010), Total Eye Care will be offering free Glaucoma Screenings on World Glaucoma Day, March 12, 2010 at the Colleyville office located at 6114 Colleyville Blvd. from Noon to 2pm. “Early detection and awareness are crucial to limiting vision loss from glaucoma. The purpose of Glaucoma Awareness Week is to get the word out and prompt patients to seek an evaluation from their eye doctor. At Total Eye Care we would like to make it easier for patients to learn about glaucoma by offering a free screening ” says Dr. Richard Driscoll, clinical director at Total Eye Care. Glaucoma is the second leading cause of blindness worldwide, not because of lack of effective methods for diagnosis and treatment, but due to insufficient information available to the public and low awareness of the implications of the disease. Glaucoma is asymptomatic in its early stages, while the patient’s vision suffers irreversible and cumulative damage. Visual disturbances are noted by the patient during the later stages on the way to blindness, whereas timely diagnosis and therapy could have prevented this degradation. “We have so many advanced medications and diagnostic instruments available to us that the detection and treatment of glaucoma has been greatly advanced in the last 10 to 15 years” says Dr. Alycia Green. A glaucoma awareness questionnaire is available on the Total Eye Care website along with detailed handouts for patients on glaucoma and many other eye diseases such as macular degeneration and keratoconus. Total Eye Care participates in Glaucoma Awareness Week, the complete press release. How are Soft Contact Lenses Made? Posted on February 8, 2010 | Comments Off on How are Soft Contact Lenses Made? Have you ever wondered how soft contact lenses are made? We found this Discovery Channel video from the show How Do they do it? showing how custom soft contact lenses are made. Comments Off on How are Soft Contact Lenses Made? Image courtesy of Flickr user Malkav. We can judge depth because our eyes are about 2 1/2 inches apart, allowing each eye to have a slightly different view of an object. The brain interprets these differing views, allowing us to note that the objects are at varying distances. In a movie theater, the image is projected onto a flat screen, therefore we must show each eye a slightly different image, this is accomplished by using either polarized lenses (the better method) or red and green lenses (think headache). Polarized lenses are, by far, the preferred method. Typically, light radiates in all directions, polarized lenses filter the light so that it radiates in only one direction, with all of the light waves parallel to each other. The 3D movie glasses use polarized lenses that filter the light 90 degrees apart for each eye, thus allowing each eye to see a different image. Two movie projectors are then used to show the movie. Each projector’s image is slightly offset on the screen simulating the distance between our eyes. While wearing your polarized 3D glasses the movie looks clear and sharp. If you take your glasses off the movie looks fuzzy with a shadow off to the left. Your brain will fuse these views giving depth to the image. If you take a friend’s 3D movie glasses and hold their left lens in front of your right lens you will see that no light gets through, turn the lenses perpendicular to each other and once again you can see through both lenses. The last 3D movie I saw used red and green glasses so it was great seeing a 3D movie that did not give me a headache. The picture looked great and the 3D effects were well done, however that’s about it. The chase scenes were way to long and really done mostly to show off the movie’s 3d effects. 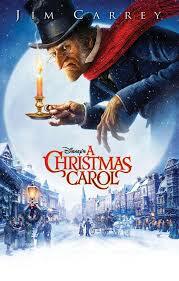 Jim Carrey was good in his role as Ebenezer Scrooge and the movie stuck to the original book. So the bottom line, it’s not a bad movie as a matter of fact they did a good job, however the only reason to see this movie, is to see the 3D effects. Occasionally I depart from the usual eye care related topics and branch into something that I feel people might find useful. My internet browser of choice is Firefox. I only use Internet Explorer when absolutely necessary, which is a very rare event indeed. What I like about Firefox is that you can customize it with addons. There are thousands of addons available for Firefox. Here are a few of my must have favorites. I use everyone of these daily. That’s it those are my must have Firefox Browser Extensions/Addons. You can search for other Firefox addons at the Firefox Addon Website. I have also reviewed addons that are available to patients with impaired vision. How Does Glaucoma Damage the Eye? Posted on June 16, 2008 | Comments Off on How Does Glaucoma Damage the Eye? We are frequently asked to explain how glaucoma causes blindness. Glaucomatous damage to the eye is caused when the pressure within the eye is greater than the optic nerve can tolerate. How does the pressure cause blindness? The simple answer is we don’t know exactly; however, there are two main theories as to why the damage occurs. Neither theory fully explains how the optic nerve damage occurs in the different types of glaucoma. The premise of the vascular theory is that high pressure inside the eye restricts blood flow to the optic nerve causing the optic nerve to slowly die from lack of oxygen and nutrients. Physical glaucoma damage is the underlying hypothesis of the mechanical theory of glaucoma. It is thought that the high pressure damages the optic nerve fibers. That’s a good question the leading researchers can make a convincing case for both theories and neither theory, by itself, completely explains how glaucoma damages the eye. In reality, both probably play a role in how an eye is damaged by glaucoma. Comments Off on How Does Glaucoma Damage the Eye? Are you sensitive to light? Do your eyes often feel gritty? Does your vision fluctuate? Does blinking improve your vision? Do you use artificial tear more than 3 times a day? Find your contact lenses uncomfortable? These are just a few of the most common symptoms we hear when patients tell us their eyes feel dry and irritated. Dry eye syndrome is very common, especially in women. Treatment of dry eye syndrome is very beneficial with very little risk of complications. Punctal occlusion with silicone plugs is one of the most common modes of treatment. We often use punctal plugs to increase the amount of tears present in a patient’s eyes. A recent study compared the two most common types of punctal plugs, silicone punctal plugs and the SmartPLUG®. Essentially the study found that they both were relatively equally effective in reducing a patient’s symptoms (over 55% of the patients reduced the use of artificial tears). The study evaluated only 36 eyes for less than 12 weeks which really was not enough patients over too little time. However, one would likely expect that as long as the punctal plugs remained in the eyes the patients would continue to do well. The study does show that treatment of dry eye syndrome with punctal plugs is an effective solution. Interestingly, 33% of the eyes treated had a plug fall out during the 12 weeks, which is very high. In our practice we see approximately 5% of our patients per year lose a plug, a rate much more in line with other ophthalmic practices. A 33% loss makes me want to look for a problem with punctal plug sizes. We use both types of punctal plugs used in the study, silicone plugs (made out of a rigid type of silicone) and the SmartPLUG® (made out of a thermodynamic gel). We find both to be very effective and helpful in different situations. I like the silicone plugs for most patients, it is easy to insert and verify that it is still in place doing its job. The SmartPLUG® is helpful in patients that find the silicone plugs irritating. If you think you are experiencing the symptoms of dry eyes see your eye doctor and get some help. There are numerous treatments available, which we will cover in another article. At a minimum, patients typically note a significant decrease in symptoms with treatment. If you would like to read a summary of the article it’s available here “SmartPlug versus silicone punctal plug therapy for dry eye: a prospective randomized trial”. UPDATE: Check out this video on treating Dry Eye Syndrome with punctal plugs at Total Eye Care. On Friday, the Food and Drug Administration heard testimony from LASIK patients dissatisfied with the outcome of their surgeries. The ophthalmic devices panel heard testimony that approximately 1/4 of all patients that wished to have LASIK were poor candidates and 95% of LASIK patients were satisfied with the outcome of their surgery. Expert testimony before the panel concluded that the FDA should provide clearer warnings about the risks and possible complications of LASIK. Next year the FDA and the National Eye Institute will begin a landmark study to better identify which patients are more likely to encounter post surgical LASIK complications and how those complications affect quality of life. We compared the incidence of complications for patients having LASIK vs contact lens related complications in a prior blog entry. I find that the FDA is not the only one that could improve their modus operandi here but that some of the marketing/advertising for refractive surgery is irresponsible. This over promise of results does not apply to just refractive surgery but also the bifocal lens implants promising to give your back your ability to see near and far without bifocals. At Total Eye Care our role as optometrists is to provide the patient with an objective assessment, finding the best method of vision correction available for each patients situation. Today there are many refractive options available such as contact lenses, glasses, orthokeratology, PRK, LASIK and refractive lensectomies just to name a few. If a refractive option is selected it is our job to work with the patient to find the best surgeon and procedure for each patient to get the best, safest result. The Associated Press had good coverage regarding the ophthalmic devices hearing, if you would like to read it it’s available here. Q: If My Blood Pressure is High Does That Mean the Pressure in My Eye is High Too? Posted on April 3, 2008 | Comments Off on Q: If My Blood Pressure is High Does That Mean the Pressure in My Eye is High Too? A: This is a great question that gets asked a lot. The pressure inside your eye is completely unrelated to your blood pressure. The intra-ocular pressure system and the blood pressure are completely separate systems and fluid is not exchanged between them. Therefore, if you have high blood pressure you won’t necessarily have glaucoma. Comments Off on Q: If My Blood Pressure is High Does That Mean the Pressure in My Eye is High Too?